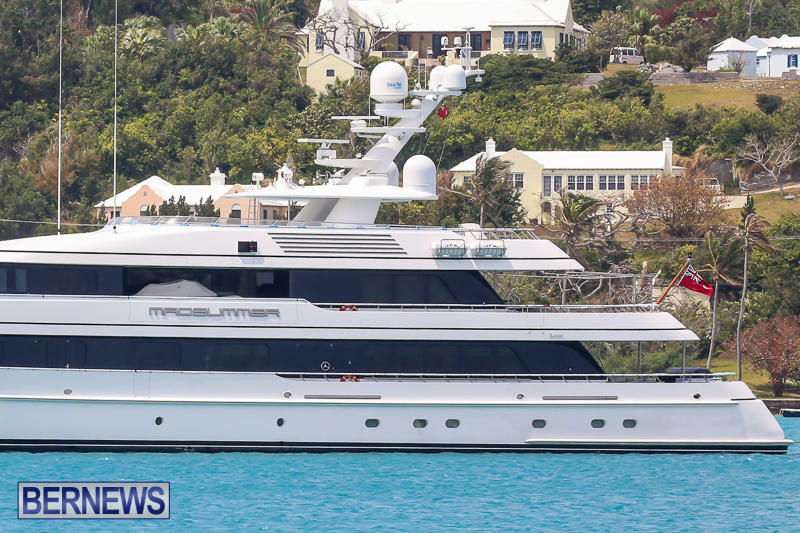 The 182 foot long superyacht Madsummer is one of the latest marine visitors to St. George’s, sailing into the east end recently. 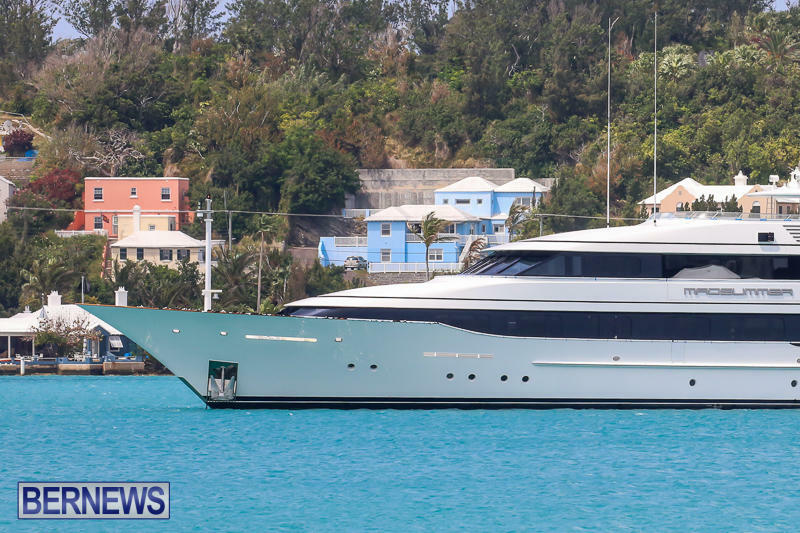 The yacht offers air conditioning, deck jacuzzi, stabilizers at anchor, and more; according to an online source. YachtCharterFleet.com said, “The 182.09ft Custom motor yacht motor yacht ‘Madsummer’ was built by Feadship in Netherlands at their Aalsmeer shipyard , she was delivered to her owner in 2005 and last refitted in 2009. This luxury vessel’s sophisticated exterior design and engineering are the work of De Voogt. Previously named Twizzle, her luxurious interior was designed by Redman Whiteley Dixon. 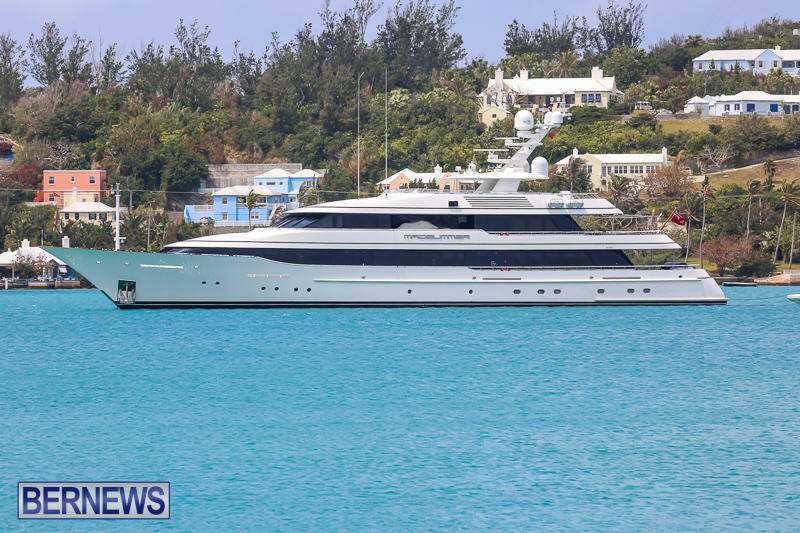 Marine traffic is expected to continue to increase over the summer, as the island is hosting various events including the America’s Cup, Tall Ships Regatta and Marion to Bermuda Yacht Race.